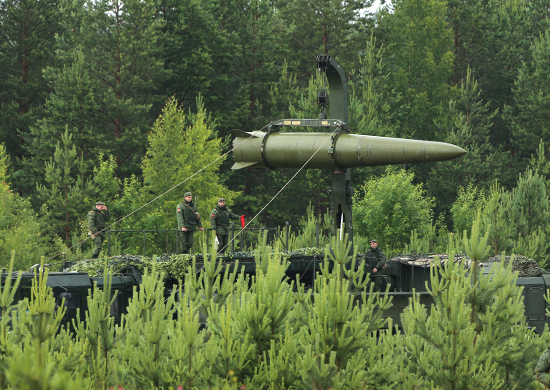 It’s always been clear Moscow would deploy new Iskander-M SRBMs in its Baltic exclave Kaliningrad. Now it has. The folks at CAST posted the news to their blog on Saturday. They were impressively attentive to the military press while yours truly remained in a slothful tryptophan-induced post-Thanksgiving stupor. Let’s look at what CAST saw. On November 23, KZ wrote that the next “brigade set” of Iskander-M missiles has just been handed over to a missile formation from the Western MD. The MOD paper noted that Colonel Anatoliy Gorodetskiy commands the brigade in question. That is the 152nd Missile Brigade based at Chernyakhovsk in Kaliningrad. For now, the formation is still practicing with its new equipment on the range at Kapustin Yar. As CAST noted, this is the eleventh “brigade set” delivered to Russian ground forces. With reported 500-km range from Kaliningrad, the Iskander-M can cover targets throughout Poland, the Baltic states, and southern Sweden. If armed with cruise missiles (SSC-8 or Russian designator 9M729), their reach is much greater. Their 2,000-km or greater range allows them to strike targets close to Paris. Iskander-M in Kaliningrad was always just a question of timing. Since at least 2014, the Russian Army has temporarily deployed Iskander-M launchers to Kaliningrad from the “mainland” for exercises. As CAST reported, Jane’s Defence Weekly published photographs of characteristic “tent-mobile shelters” under construction for the new SRBMs at the Chernyakhovsk base in February. But why now? Because the missiles and associated equipment have been produced and Moscow loses nothing at this point. The Kremlin always said it could deploy the new SRBMs to its Baltic exclave to counter Aegis BMD (Aegis Ashore) in Poland slated for completion in 2018. There are enhanced U.S. and NATO ground deployments to Poland to assure the easternmost allies in the wake of Russia’s occupation of Crimea and eastern Ukraine. Perhaps relevant here is the possibility the U.S. Congress will authorize DOD development of a new U.S. intermediate-range missile to answer Russia’s material breach of the 1987 INF Treaty. And U.S.-Russian relations are the worst since the end of the Cold War. 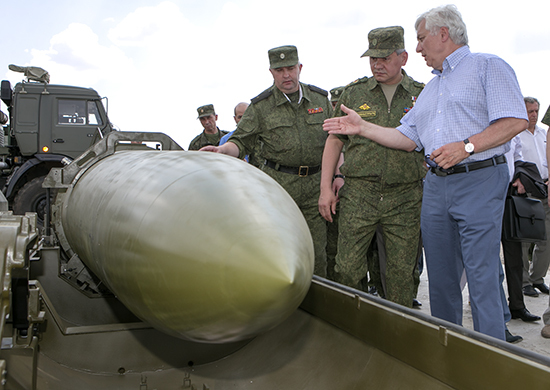 CAST adds only the 448th Missile Brigade in Kursk remains armed with the late 1980s vintage Tochka-U (SS-21 / Scarab-B) SRBM. Kursk-based Iskander-M SRBMs deployed to launch positions in southwestern Russia will easily reach Kyiv, and central and eastern Ukraine. 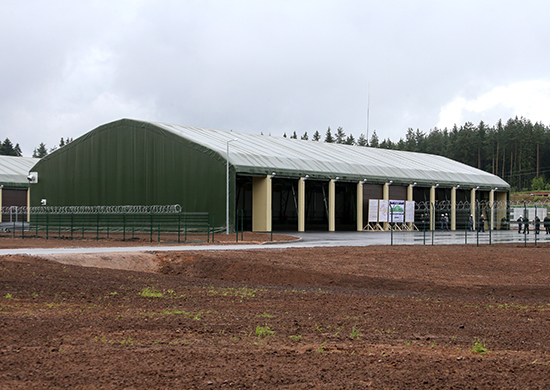 Mil.ru provided quite a few good pictures of the new base of the Russian Army’s 26th Missile Brigade at Luga in the Western MD. 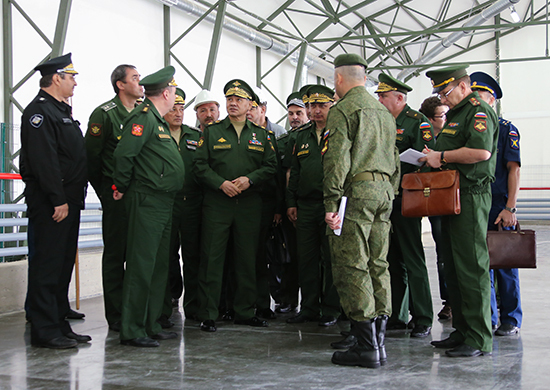 They were taken during Defense Minister Sergey Shoygu’s recent inspection trip. Yes, what follows is ripped-off photo journalism, but the pictures are too good to pass up. 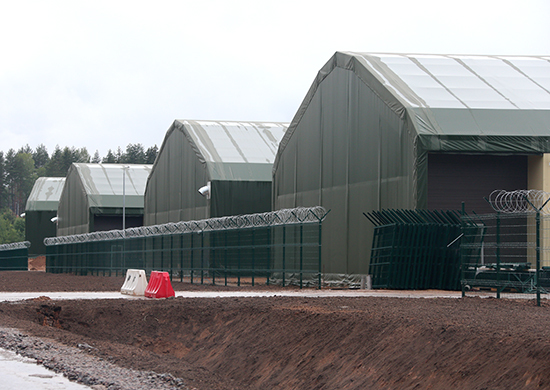 The army erected what are termed “tent-mobile shelters” at the missile brigade’s obviously new base. Shoygu wanted to see that his orders to build essential basing facilities for new arms and equipment are being followed. 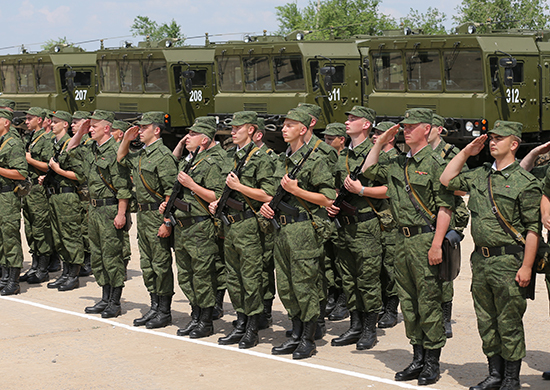 The 26th brigade not too long ago received its Iskanders. Mil.ru noted that the brigade’s vehicle storage area has space for 200 pieces of equipment including the Iskanders. The defense minister noted that “tent-mobile shelters” also need to be heated, so the missile launchers are always ready. One wonders, of course, how they’ll hold up against heavy snow, ice, etc. Shoygu repeated familiar words about synchronizing the arrival of new systems like Iskander with the selection of contractees to operate them. He checked on the construction of concrete weapons bunkers, but nothing of this is shown or shared. Some significant news from late June and early July, largely (or entirely) overlooked by Western observers . . .
Defense Minister Sergey Shoygu presided over the first delivery of a “brigade set” of Iskander-M (SS-26 / Stone) short-range ballistic missile systems at Kapustin Yar on 28 June. According to Mil.ru, uniformed and civilian Defense Ministry officials, industry representatives, and journalists were present for the test range ceremony. The delivery followed the MOD’s announcement last month that Iskander-M system components will no longer be supplied separately to the army, only in “brigade sets.” The military department also reported a “long-term” contract for deliveries of the missile system until 2017 was concluded with the producer. A complete “brigade set” includes missiles, launchers, transport-loaders, command-staff, data processing, check-out, and maintenance vehicles, and training systems. 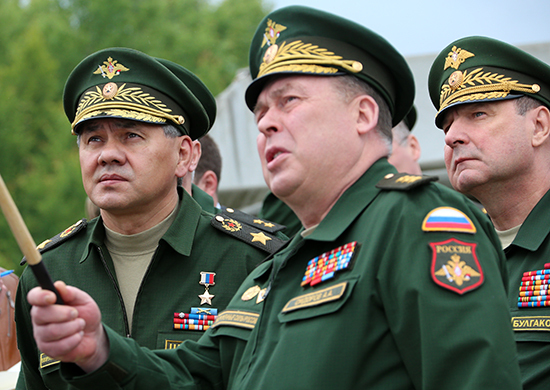 Shoygu reiterated that the MOD intends to reequip all ten Ground Forces missile brigades with Iskander-M before the end of 2017. Ten brigades should deploy at least 120 missiles, not including reloads. The Iskander-M is the only weapons system to be 100 percent procured before 2020, according to the MOD’s recently publicized Action Plan. At Kapustin Yar, Iskander-M designer Valeriy Kashin of the Kolomna Machine-Building Design Bureau told reporters the military will receive another “brigade set” before year’s end, according to Nezavisimaya gazeta and Komsomolskaya pravda. But completing the military’s order in less than five years could prove difficult for Russia’s defense industries. NG reported Kashin said enterprises working on the Iskander-M have to “intensify” their activities several fold to meet the MOD deadline. Seventeen specialized manufacturers are scheduled to upgrade and retool under a 40 billion ruble ($1.2 billion) investment effort. 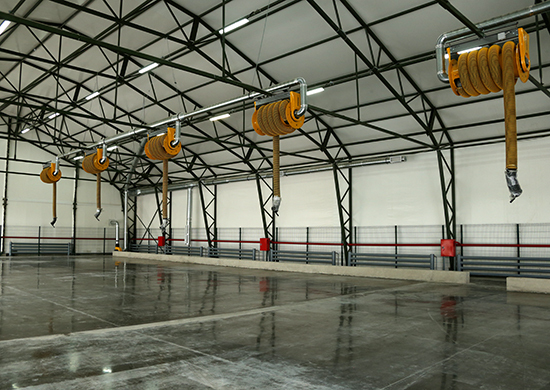 However, actual reconstruction of production lines will not begin until 2014, according to online daily Vzglyad. Shoygu told those in attendance at Kapustin Yar the most important step now is establishing the “essential infrastructure” for the deployment of new arms and equipment. 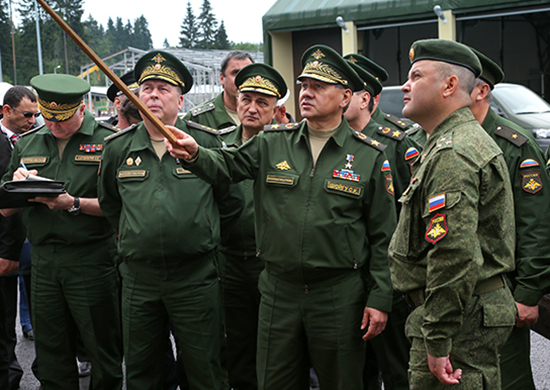 He reemphasized this in a 1 July MOD videoconference by calling for special attention to synchronizing the delivery of weapons with the construction of bases and other support infrastructure where they will be deployed (and with the training of those who will operate them). The defense minister stated that the MOD currently awaits completion of military construction projects worth 314 billion rubles ($9.7 billion). He said he wants the backlog eliminated before November. An NVO correspondent present at Kapustin Yar reports that the just delivered Iskander-M brigade’s new facilities will be complete in September. 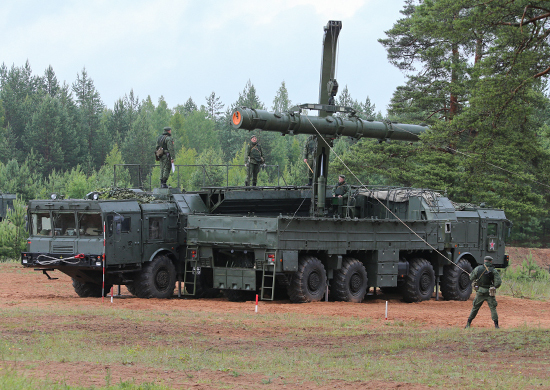 The newest Iskander-M brigade is likely intended for the Southern Military District, which presently only has one battalion of the new missiles. Shoygu is right to focus on arranging the appropriate infrastructure for Russia’s new armaments because it has traditionally neglected support and lifecycle investments in its military equipment.